August is here! School is starting and electricity is in the air with children buying new backpacks, new clothes and all the necessary school supplies. This is an exciting time of year where great childhood memories were made over the past two months. Vacations were enjoyed and the lazy days of summer were relished. Now, we embark on a new adventure. Mothers are eagerly awaiting the first day of school, crying tears of both joy and relief with what the new school year holds. There is also a relief for the children whom did not make such great memories over the summer. These children know school as their safe place. The majority of society does not lay eyes on the children that were hungry this summer. They don’t see the hidden bruises on Big Brother who drove his mom a little too crazy and faced the harshness of summer frustrations when he was too loud and got carried away just trying to be a kid. Many people don’t see these children who cared for themselves all day and night while mom slept off her hangover and high from the previous day. They don’t see Little Sister trying to take care of Baby Brother through the crib rails because she’s not strong enough to lift him out. As the thrill of August and a new school year starts, please be mindful that August is met with an influx of children coming into foster care. When children return to school, teachers find that some of their students are breathing a little easier because they are finally safe. Little Sister knows that as long as she is at school, Mommy’s boyfriend won’t be touching her private parts. Big Brother knows that as long as he’s at school, he will be fed. They know that as long as they’re at school, no one’s going to be beating on them. Or ignoring them. However, if you see Little Sister’s face wrought with worry or you suspect that she has undiagnosed ADD, she just might be thinking about that Baby Brother in the crib all day without her there to take care of him. She just might be wondering if Boyfriend is doing yucky stuff to Baby Brother because she isn’t there to take the abuse. Big Brother may be anxiously wondering if Mommy will wake up if he’s not there to wake her from her drug-induced sleep. He may appear agitated, aggressive or impulsive. We live in a world that is peppered with illness, addiction and cruelty. We need to open our eyes wide to see what is really happening with many children. Then we need to do something about it. 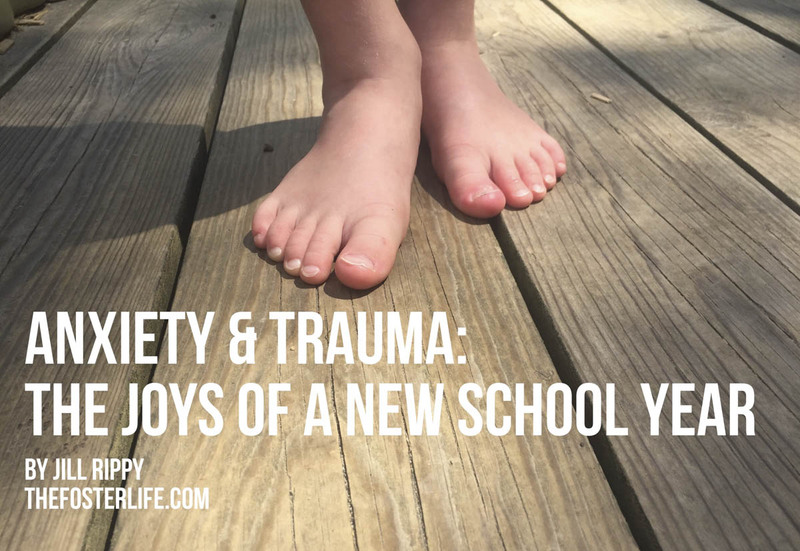 Celebrate the start of a new school year. Take your children school shopping. Go buy the 376 things on the school supply shopping list. But, with an influx of children coming into foster care in August, could you open your heart and home to just one? They need you. Foster parents need you. We are at capacity and stretched thin. We need good hearted people to step up and make a difference in the life of a child. You are capable. Are you willing?